1927 Guidebook in very good shape. 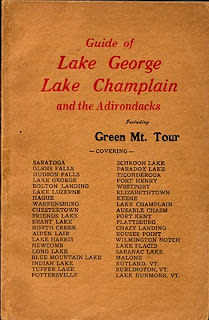 Covers the various towns in the Adirondacks and on the Green Mt. Tour. Publication is filled with a wide range of history, travel suggestions, and advertisements from the leading hotels and attractions of this area.